Some 70 gay and lesbian politicians and activists from across the country huddled Saturday to plan the gay rights movement's course. They quickly agreed on one thing: Even after unprecedented electoral success, it's no time to get complacent. "This is not a time for sitting back and saying things are great," said Bob Ebersole, Massachusetts' director of municipal management. "It's a time for working even harder." 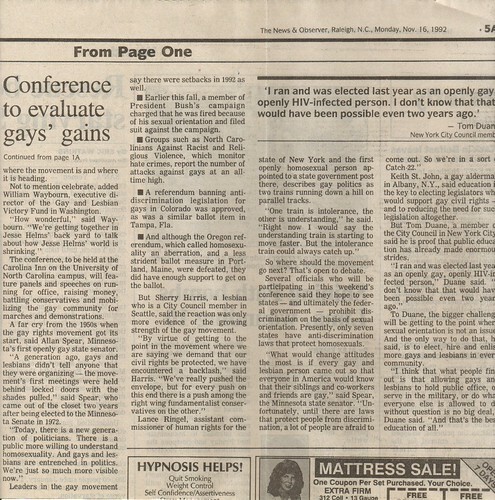 For starters, they said they`ll press President-elect Bill Clinton to keep campaign pledges to appoint an AIDS policy "czar" and increase funding, and to lift the ban on gays in the military. They discussed a possible economic boycott in Colorado, where voters this month banned local governments from enacting gay-rights laws. That vote rescinded laws in Denver, Boulder and Aspen. And they pledged a huge lobbying effort in the next two years for a federal civil rights law that would prohibit discrimination against gays in employment, housing, public accommodations and government services. The proposal, similar to existing protections for racial minorities and the disabled, has yet to get to a vote in Congress. Such a federal law would give gays minimum protections that states and cities could only extend. Monday in Charlotte, the city council may reject a proposal to expand a local anti-discrimination law for public establishments to cover sexual orientation. More than 100 U.S. cities - including Chapel Hill, Durham and Raleigh - already have similar laws. Delegates to the eighth annual conference of gay and lesbian officials talked of such high goals after this month`s election boosted the ranks of openly gay elected officials to 75, the most ever. They include two Congress members from Massachusetts and 10 state and 63 local officeholders. 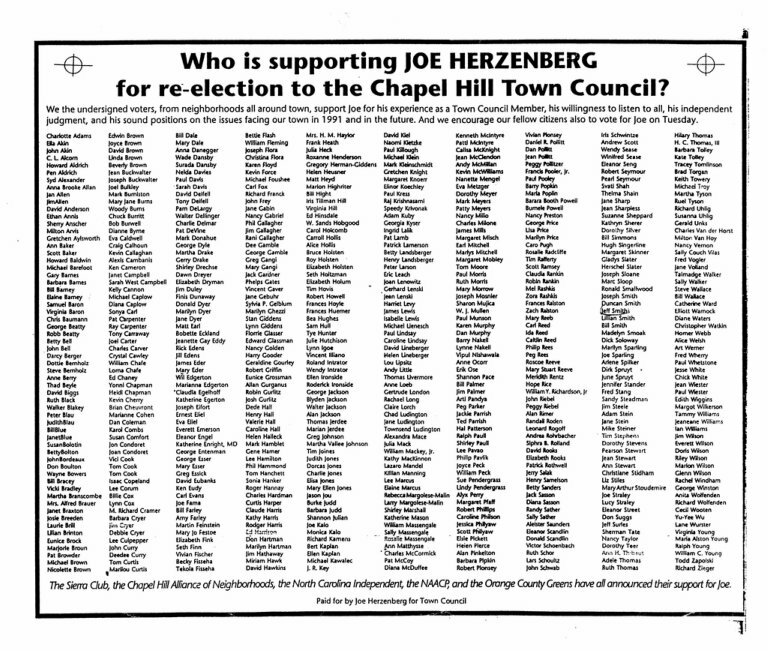 Among them: Chapel Hill Town Council member Joe Herzenberg, the only openly gay elected official in the Carolinas. Gay officials also expect unprecedented access to the new Clinton administration based on their support - 9 in 10 gay votes, according to one estimate. A national coalition of gay and lesbian groups is compiling candidates for jobs inside the Clinton administration. "Now comes reality - from being a special-interest group to being a team player," said William Waybourn, executive director of the Gay and Lesbian Victory Fund in Washington. "That means responsibility. I`m not sure we know how to handle that. There`s no blueprint to follow." Speakers on a panel on the meaning of Clinton's election debated how gays should wield their power after 12 years outside the loop during Republican rule. "It was very easy to deal with George Bush - all we had to say was he was wrong because he usually was," said Eric Rosenthal, political director of the Human Rights Campaign Fund, the main gay political lobby in Washington. With Clinton, he said, "We need to learn when to ask, when to demand, when to praise, when to criticize. . . . We need to see Bill Clinton not as a panacea, but as an important next step in advancing our community`s agenda." Still, some warned that success will breed a backlash: more anti-gay amendments from U.S. Sen. Jesse Helms, R-N.C., more ballot measures like the one in Colorado, and the one in Oregon, rejected by voters, that denounced homosexuality as "abnormal and perverse." Justin, a Camp Lejeune Marine sergeant who heads a three-month-old N.C. military gay rights group, told delegates there's been a "big increase in homophobia" since Clinton last week reaffirmed his commitment to end the ban on gays in the military. He didn't want his last name used. "We want to make sure it does not translate into physical gay-bashing," he said later. 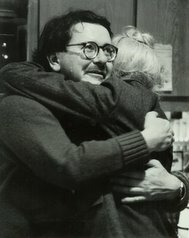 CHAPEL HILL - If someone had asked Joe Herzenberg 12 years ago to predict what three Republican administrations and a growing AIDS epidemic would do to the gay rights movement, his answer would have been grim. 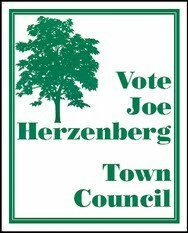 "Unmitigated disaster," said Herzenberg, a Chapel Hill Town Council member and North Carolina's only openly gay elected official. - The ranks of elected officials who acknowledge their gay and lesbian sexual preference grew by almost 20 percent - from 64 to 75 nationwide, the most in U.S. history. - Both Republican and Democratic presidential candidates, during their nomination acceptance speeches, promised more money for AIDS research. - Oregon voters defeated a referendum that generated virulently anti-gay sentiment. - And in January, when Bill Clinton takes office, he has promised to eliminate the ban against homosesuals in the military. 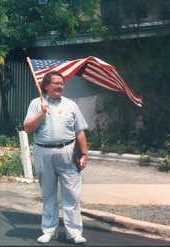 "The movement has flourished," Herzenberg said. "Gays and lesbians - and our agenda - have become part of mainstream politics." This weekend, Herzenberg will play host to a national conference of more than 75 gay and lesbian elected and appointed officials from around the country who will gather in Chapel Hill to assess where the movement is and where it is heading. Not to mention celebrate, added William Waybourn, national director of the Gay and Lesbian Victory Fund in Washington, D.C.
"How wonderful, said Waybourn. "We're getting together in Jesse Helms' back yard to talk about how Jesse Helms' world is shrinking." The conference, to be held at the Carolina Inn on the University of North Carolina campus, will feature panels and speeches on running for office, raising money, battling conservatives and mobilizing the gay community for marches and demonstrations.